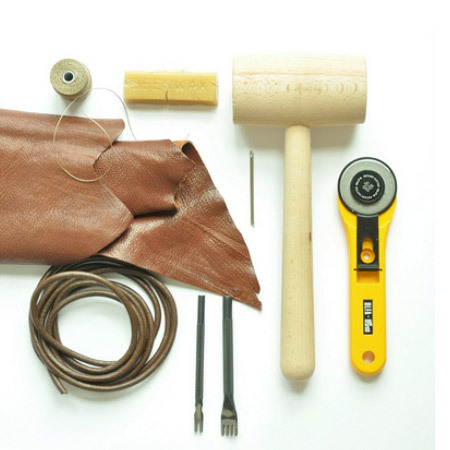 Measuring 38 by 40cm, this leather should bag is a simple project that is a great way to get started if you want to work with leather. 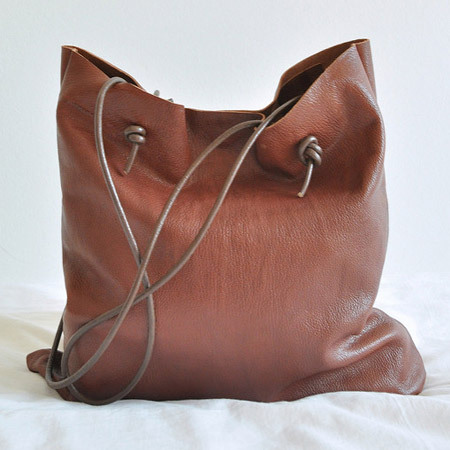 You can use a soft leather hide, or shop for leather scraps that you can pick up reasonably cheap. 1. Cut two rectangles approx. 30 x 80cm. 2. 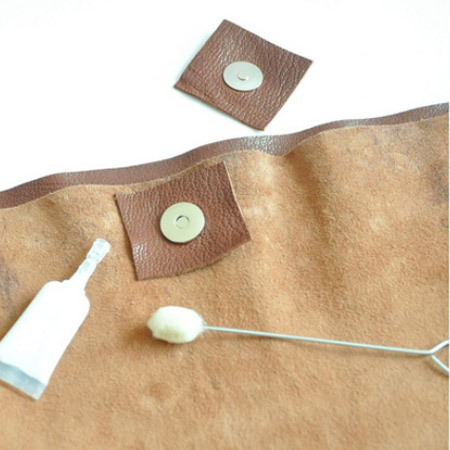 Use a pricking iron to prick holes along the sides where the seams will go. The stitches will be 0.5cm in from the edge. 3. Thread the sewing needle with a length of thread approx. 5 times the length of the seam you will be sewing. Thread a needle at each end and 'lock' the needles. You will find a detailed explanation for locking the needles here. 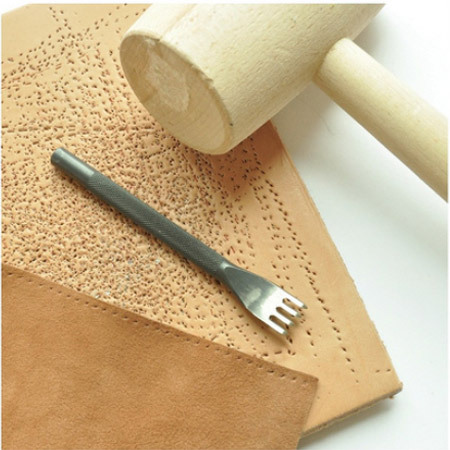 GOOD TO KNOW: Waxing the thread with beeswax makes it easier to sew through leather. 4. The stitch used to sew the sides together is a saddle stitch. The red thread is one needle and the green thread the other. 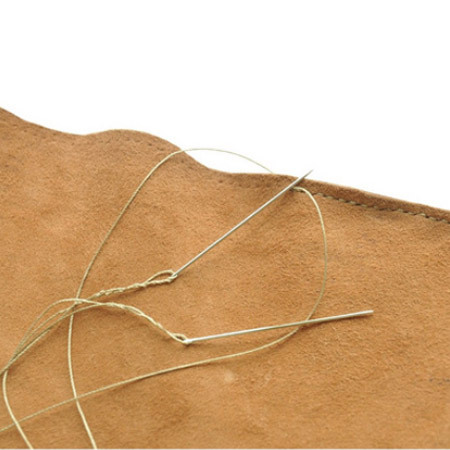 Using a saddle stitch reduces the risk of your stitches coming undone and prevent the thread from tangling. 5. Put aside a couple of scraps of leather to cut a total of  5cm squares. On two of the squares glue on male / female magnetic snaps and glue them into place onto the wrong sides of the bag. 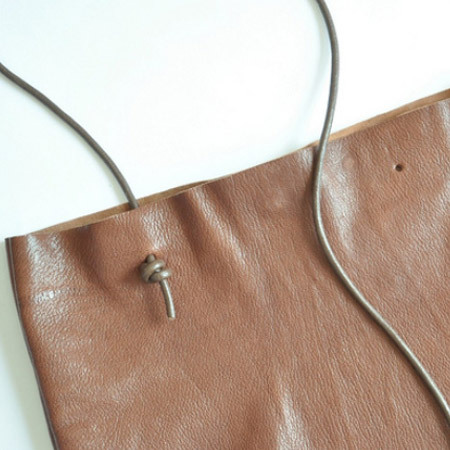 Align them perfectly in the middle and about 4cm from the top of the bag (measuring from the centre of the snap). 6. Decide where you want to place the straps and then position and glue each of the remaining  squares. These squares will reinforce the leather around the strap holes. 7. 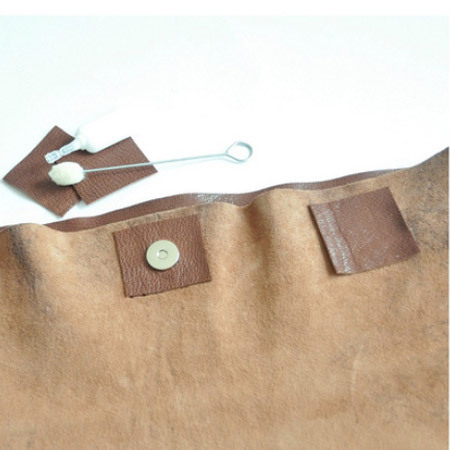 To attach the straps, mark the centre of each square piece of fabric and punch a hole through with the leather punch. 8. 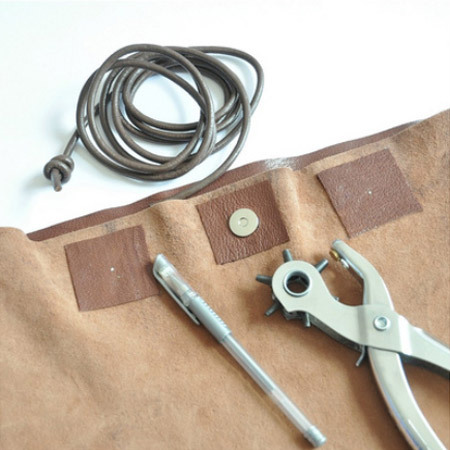 Cut the leather cord to size, allowing extra length for knots. The best knot to use is a double fisherman's knot. Do one at one end of the strap, thread through the hole and then thread through the other hole. Finish off with another double fisherman's knot. Repeat for the other strap and you're done!